Excellent news today regarding challenge 04: Mouse V1 - we’re done! According to our collaborating scientists, this cell is already complete. The reason this was so fast is that there is only one short segment of axon, or what neuroscientists would consider a “dendrites-only” reconstruction. Not only that but scientist “alexh” was able to compare to the gold standard just from the web view and let us know the consensus is essentially identical to the gold standard. He estimated he would be able to take the consensus and turn it into gold standard quality in about 10 minutes. This is very impressive work and definitely something to celebrate. Great work, everyone! Are you ready for more? Go here to get started on our next challenge: Mouse-V1-05. The biggest difference between this cell and the last was the lack of false positives. There was a bit of stuff around the soma, but very little. More importantly, I did not see any false branches (maybe a couple of very short ones)! The end of one dendrite was improperly continued on the branch of another dendrite. This can occur when branches cross each other very closely. One way to minimize this happening is to take some time and scan back and forth in the single plane view until you feel super confident in moving on. Around 75% of the axon was captured this time, but even so, it was often discontinuous. 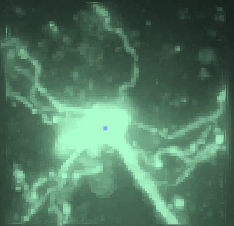 The only completely missed axon branches were near the soma, which is usually a zone of lower signal-to-noise. This makes it easier to miss faint axons. Overall, I thought this was a very good representation of the cell! Now it is time for us to tackle a new challenge. Go here to get started. 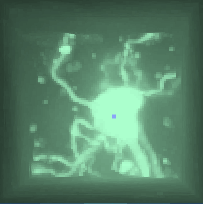 Today, we have a different mouse neuron from the primary visual cortex. Thank you to our scientist collaborators at the Allen Institute for Brain Science for providing this challenge for our community. You can click right here to get started! 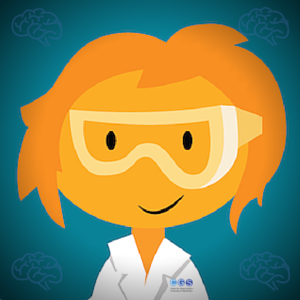 Allen Institute for Brain Science scientist “Alexh” compiled some thoughts on our recent puzzle, and we wanted to share them with you. “Late last week, I did a comparison between the latest cell and the gold standard. Overall, I was very encouraged by the result. For the dendrites particularly, there was good agreement between traces. Good work, everyone! We can’t wait to see what you accomplish next!